This year’s six month hurricane season began on June 1st. NOAA’s Climate Prediction Center is forecasting an “active” or “extremely active” season this year. 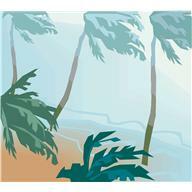 To learn how to protect yourself and your family in the event of a hurricane, visit FEMA’s www.Ready.gov website for useful information on how to plan, build a disaster supply kit and support Community preparedness.